The Home Affordable Modification Program (HAMP) came under more pressure today after Chase revealed the process has been cumbersome and less successful than its own loss mitigation efforts. Since the program launched earlier this year, Chase has offered 199,033 HAMP modifications, with just 16,131 approved for permanent mods and only 4,302 actually completed. That compares to 160,826 Chase loan modifications offered, 72,888 approved for permanent mods, and 58,239 completing the process. 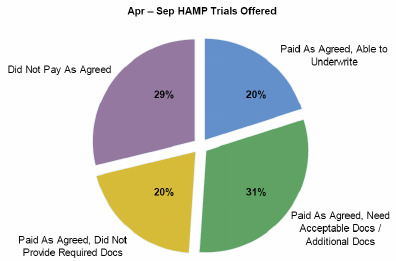 More than half of the borrowers who were offered HAMP trials by Chase between April and September have already made the required three payments, but failed to provide necessary paperwork to move forward. 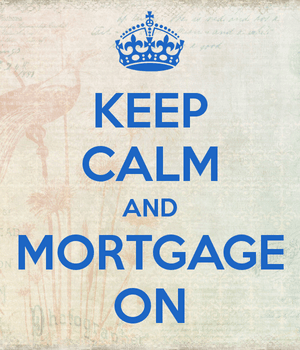 “We first attempt to help struggling borrowers using the Home Affordable Mortgage Program. 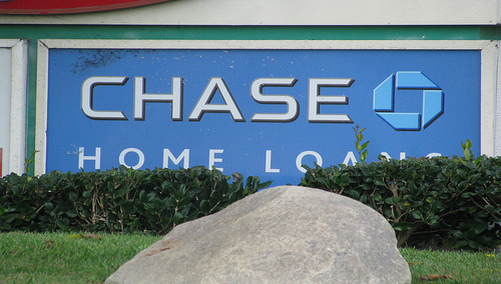 If they are not eligible for it, we use a range of other modification programs,” said Charlie Scharf, head of Retail Financial Services at Chase, part of JPMorgan Chase & Co.
“We continue to work very hard to convert customers from a trial modification to a permanent modification that lowers their monthly payment, but it has been a struggle,” he said. Some believe borrowers aren’t providing the documents because they fudged the numbers, while others claim Chase and other banks are intentionally making the process difficult for homeowners because they don’t stand to benefit from the loan modifications. Even so, a staggering 29 percent of borrowers who received trial loan mods failed to make the required mortgage payments, so you can’t simply blame the process. To step up efforts, the mortgage lender has coordinated a program that calls customers up to 36 times, mails them 15 times, and makes at least two visits to their home, if necessary, to get the required documentation.